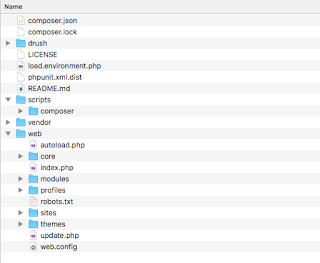 Drupal Programmer: Would you love apt-get on a mac? Would you love apt-get on a mac? As Ubuntu kept maturing i kept on gradually liking the "apt-get install" command in ubuntu to the point this felt like a hinderance on other linux flavours more notably Mac. To my surprise there is a tool available to make apt-get work in mac, this is fink (http://www.finkproject.org). The binary is available to download for 10.5 and lower, for the rest who have moved on it seems the only option is to compile and install from source as per the instructions on the fink website. Sit back, relax and keep glancing at your terminal window to choose options at prompts, for most options default is fine, for geographic locations you may want to select the one closest to you. After the installation is completed, running the command without sudo - this will comeup with a prompt this will allow you to configure apt-get to work from any part of your system. Once this is completed you should be able to use apt-get in mac!! !